We love adventure and creating the vehicles used to get there. Located in beautiful Fort Collins, Colorado we are a team of outdoor enthusiast and tinkerers who have been designing, outfitting and building custom campers, vans, and one-off products for years. We love creating custom high utility solutions that are versatile, functional and built to last. Whether you are looking for a full custom van build, just need some help with installing a roof vent or wiring your own project, we have been there and can help. We are a team of energetic individuals that finally took the advice of friends and family to create a company that allow us share our passion for camping and the outdoors with others. When it comes to the design and build Mark is the mad scientist that makes the magic happen. 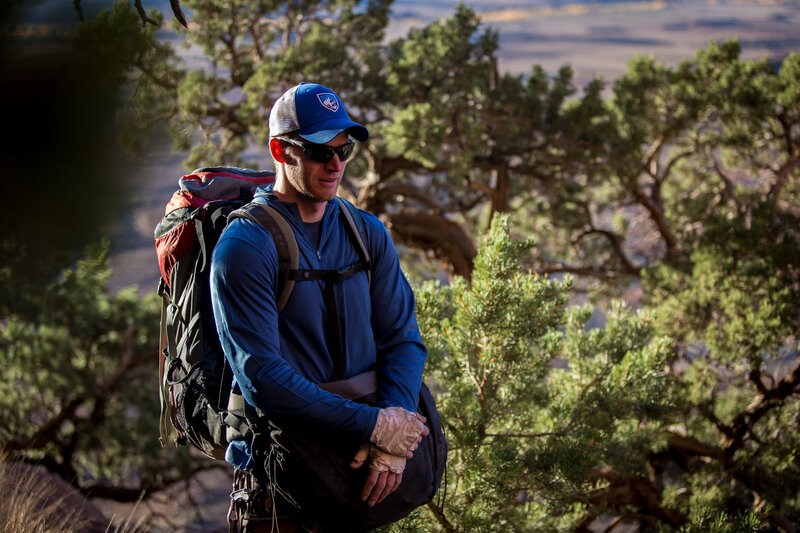 Originally from the Midwest, Mark moved to Colorado to rock climb and has called the state home ever since. In his spare time, Mark can often be found trad climbing, mountain biking, and spending time working in the electronics lab and with his HAM radios. For sales, and logistics Sean is your guy. Sean moved to Colorado in 2002 and after graduating from Colorado State with a degree in communications he spent many years in the corporate world. He now enjoys time outside with his wife, Katie and their two dogs, Orville and Sprocket. Keeping you appraised with photos along the way and showcasing our projects. In his spare time, Anthony and his wife Kristina are often on climbing road trips living out of their camper van while traveling throughout the West.